The coal capital of Queensland, Blackwater takes its name from the discolouration in their local waterholes by tea trees. At first glance Blackwater looks like little more than a petrol station and a couple of highway motels, but those who venture off the highway can truly experience the heart of the town. 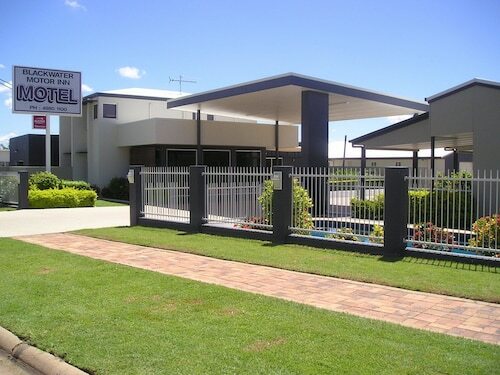 Find great accommodation in Blackwater with us and explore rural Queensland at its best. The local coal mine opened in 1967 and was once open for public tours. Unfortunately today it’s no longer possible to see inside, so save yourself a trip out to the mine centre. Instead check out the wonderful display of mining equipment next to the Japanese Garden, most of it from Rangal Mine, dating back to the early 1920s. The Japanese Garden is fascinating too. With over 600 tonnes of ornamental stone this garden is a popular tourist hotspot, and marks the relationship between Blackwater and its sister city Fujisawa in Japan. Close by, drop into the local tourist information centre, let your kids have fun in the playground and clamber over the restored steam locomotive while you check out the historical displays. The best public space in town is Lions Park, situated right by the water tower. You can’t miss it as you look west over Blackwater. Flying the flags of 37 nations, the park proudly displays the nationalities of the people working in the coalfields. Apart from the United Nations building in New York, this is the largest flag display in the world, and it’s also a great place for a picnic! Fishermen will enjoy the Bedford Weir. Only 26km north of town it is stocked full of barramundi just waiting to be hooked! There are two memorials definitely worth visiting while in Blackwater. The Coal Face Memorial is right near the Ambulance Station in McKenzie Street, recalling every miner who has been killed in accidents in the Blackwater coal pits. Walk over to Arthur Street and you will find the War Memorial. Featuring two pine trees grown from seeds taken from the Gallipoli peninsula in Turkey, it’s right beside the Blackwater and District Workers Club. A trip to Blackwater isn’t complete without a visit to the Blackdown Tablelands. Just 55km east of town this is a spectacular sandstone island rising 600 metres above the surrounding plains. Climb to the top and be rewarded with magnificent views of rugged cliff faces and beautiful landscapes as far as the eye can see. Perched 190 kilometres west of Rockhampton on the Capricorn highway, Blackwater is a peaceful town designed primarily to accommodate the local coal mining industry. 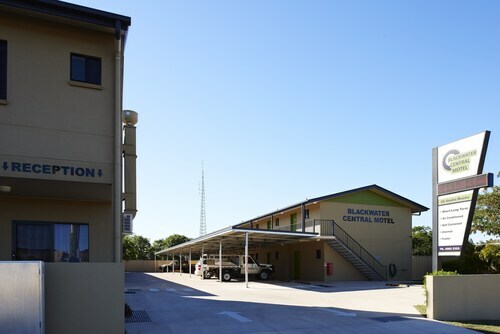 For tourists and locals alike there is much to see in the surrounding areas, so book your Blackwater hotel with us today and explore the coal capital of Australia for yourself. How Much is a Hotel Room in Blackwater? 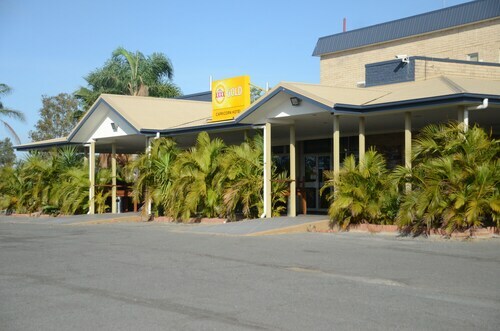 Hotels in Blackwater start at AU$109 per night. Prices and availability subject to change. Additional terms may apply. They have rooms for the disabled which is awesome. The rooms are lovely, clean, modern and spacious. The staff are lovely and eager to please. I've stayed there one two separate occasions now and will go back again as I was very pleased. The room was clean, neat and affordable. It also had a large bathroom. I like the room size, location, freindly staff and great meals. Also no bright lights, easy to get a great nights sleep.